To learn, we must attend, apply our minds, and stretch our knowledge. I found Peter Skillen’s comment important in this post because our students need to find their connections and passions; that often starts with small steps — reading or writing shorter blog posts or connecting with tweets and their links. They are often the reflection to solidify the learning from other areas — longer texts or critical discussions. We need both the short and the long. Let’s find balance in our expectations and requirements for rigor and attention. Whether a tweet or classic, let’s “Stop. Look. 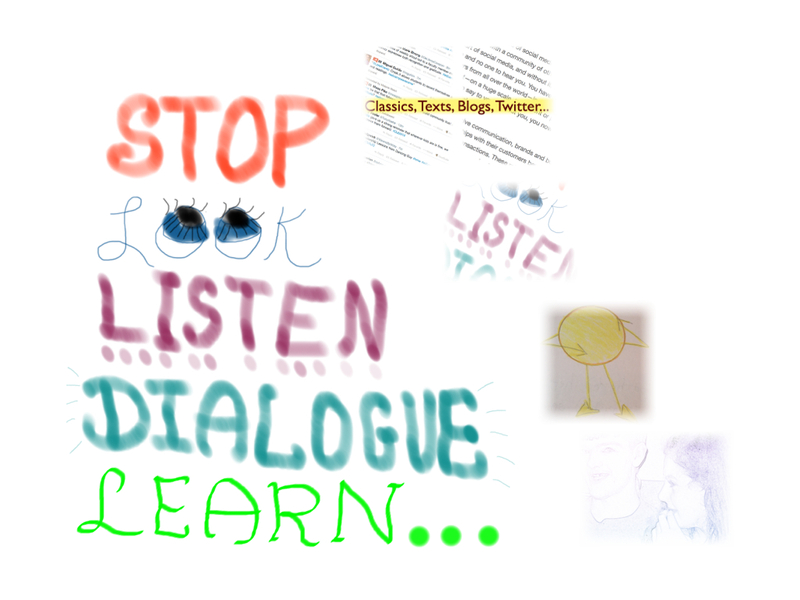 Listen.” Dialogue. Learn. This entry was posted in Consider, Experiences and Assessments. Bookmark the permalink.